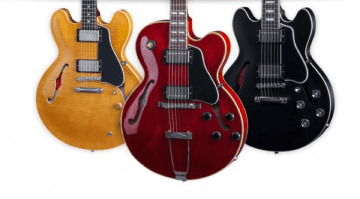 Gibson has launched its new Semi-Hollow Modern Double Cut at the Consumer Electronics Show in Las Vegas! It’s a semi-hollow version of the guitar which caused a lot of controversy at last year’s CES, and will more than likely divide opinions among players. Last year, Gibson showed the prototype of a new model which was later that year announced officially as the Modern Double Cut. At this years, show we catch a first glimpse of a new Semi-Hollow Modern Double Cut version. The guitar was shown this afternoon on the company’s official Facebook page, so we have a few details from the company on its construction. They will be available in four pearlescent colours and have 24 frets. 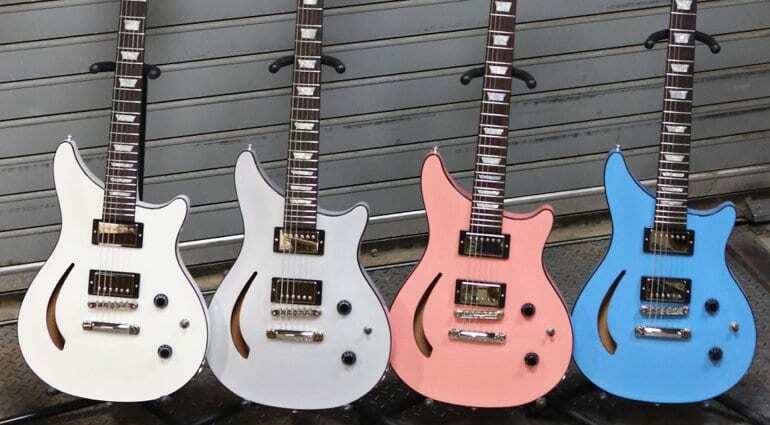 You will be able to choose custom colours via Gibson’s Made 2 Measure service, but that’s all we know at the moment. 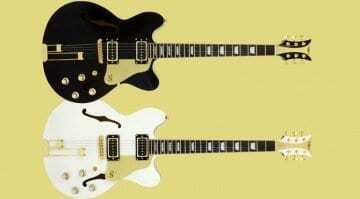 Pricing is the same for these semi-hollow versions as it is for the standard versions. 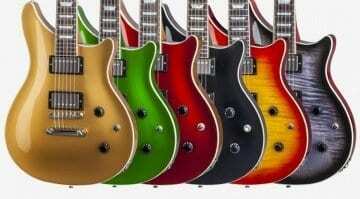 But custom colours will cost you extra, of course, so you will need to inquire for those directly with Gibson. Although they are interesting, these particular guitars are not really my thing. The colours on offer are a bit grim and not really my thing at all, but you may love them. 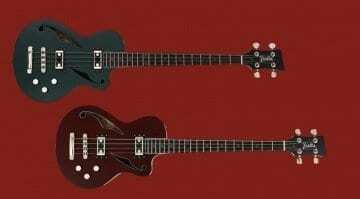 Unfortunately, we don’t have any more information about them yet, as there is nothing official on the Gibson website at the time of writing this article. Keep your eyes peeled for more details soon, hopefully. Great for anyone who wants to start a Gem and the Holograms tribute band. Some genius designed these. Some other group-thinker genius had them built. Yep, some “genius” looked a a Agile ‘Harm’ model and thought, well Rondo sells a bunch so if we just copy it and paint it in easter egg colors and sell it for $4k it’ll be great. That “genius” would probably be Henry J who really, really needs to get back on his meds. Kurt at Rondo should send him a cease-and-desist letter.